Very often, students have difficulty with the analysis process involved in literature. Where they not only have to analyse, but now have to apply their newfound skills to a well-developed paragraph, some students become overwhelmed with the process. 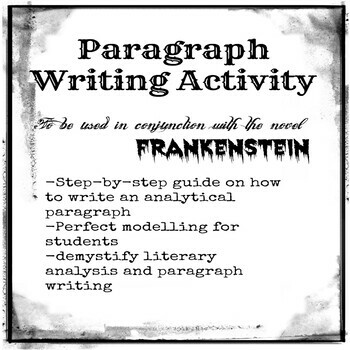 This particular activity will focus on both the analysis and writing a paragraph using the PEEL method. This lesson can only be used after students have read chapter 19 from the novel Frankenstein.